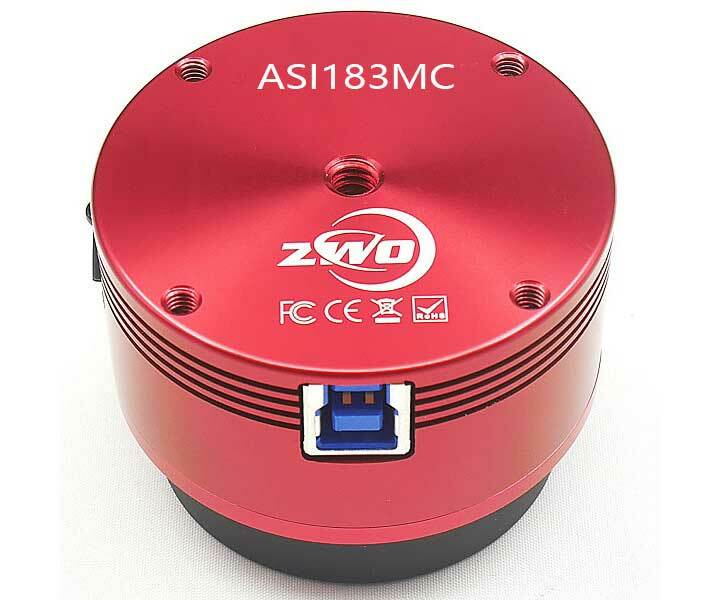 The ZWOptical ASI183MC uses the modern SONY Exmor R BSI IMX183 color sensor. With about 20 million pixels, this camera belongs to the large CMOS astro cameras. 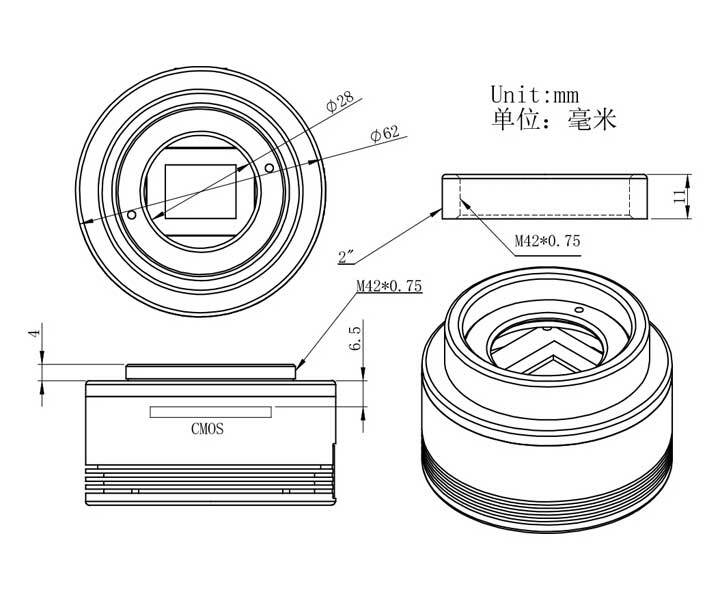 Due to the pixel size of only 2.4 µm, the resolution of the camera is sensational. With this, the ASI183 becomes attractiv especially for sharp and fast telescopes and camera lenses. One of the outstanding features of the ASI183 is the sensational light sensitivity. 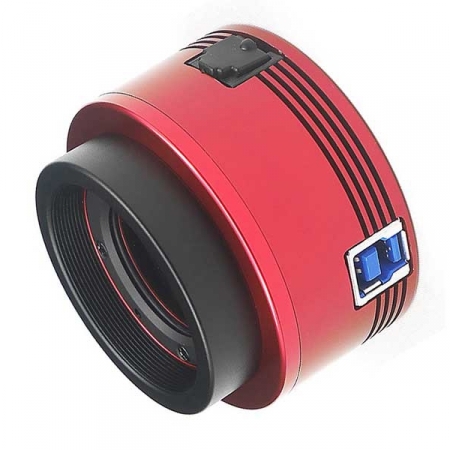 The QE of 84%, due to the BACK ILLUMINATION technology, and the very low amplifier glow make the camera very well suited for all astronomical applications. The "single shot" color camera offers more comfort, compared with monochrome cameras. Not everyone wants to follow through the laborious L-RGB technique for beautiful colored nebula or planetary images. The color cameras offer a possibility to obtain beautiful images without changing filters. 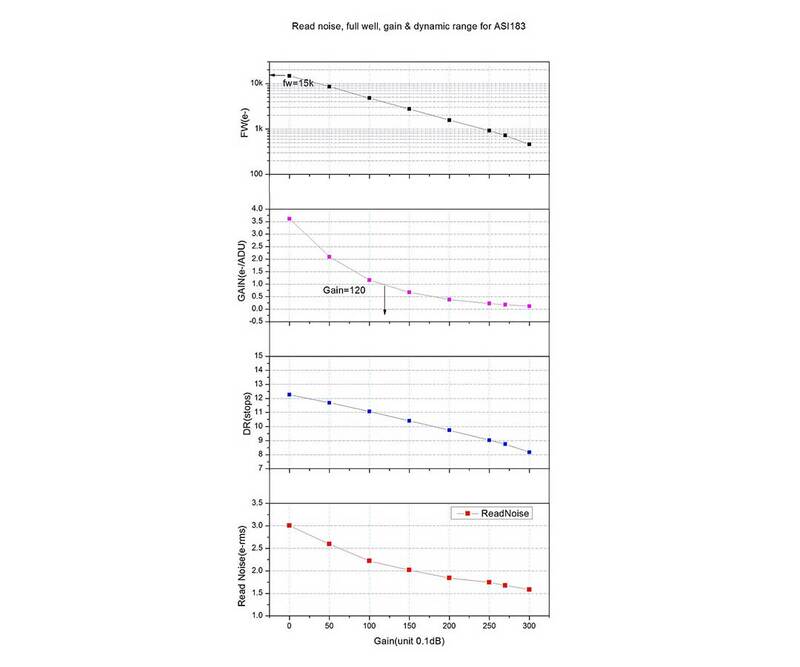 In direct comparison to the DSLR camera, the ASI183MC convinces with much higher light sensitivity, a smoother image and more depth. Stars become saturated less fast. ♦ Impressive lunar and planetary images and videos. The high sensitivity allows "freezing" the seeing. 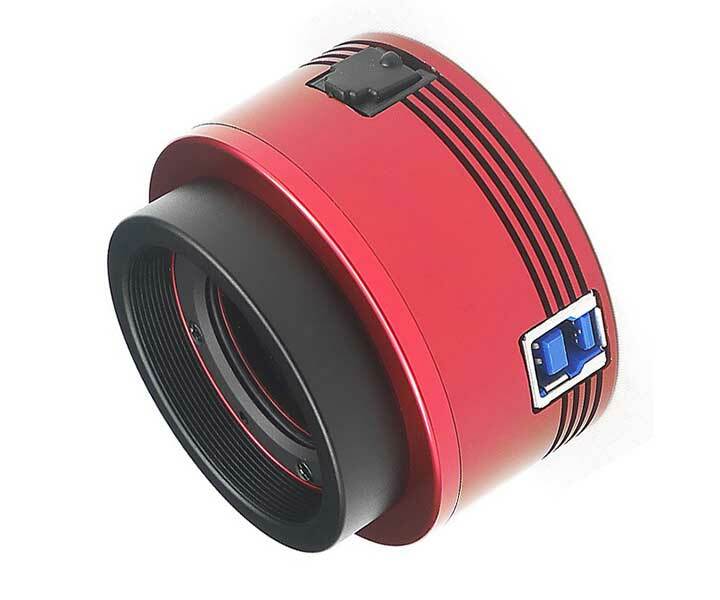 Through the small pixels you can achieve a high resolution of the telescope without additional optical elements. ♦ Autoguiding is possible via the ST-4 level interface. Fue to the high resolution, you can guide large telescopes already with guiding telescopes starting from 50 mm aperture. 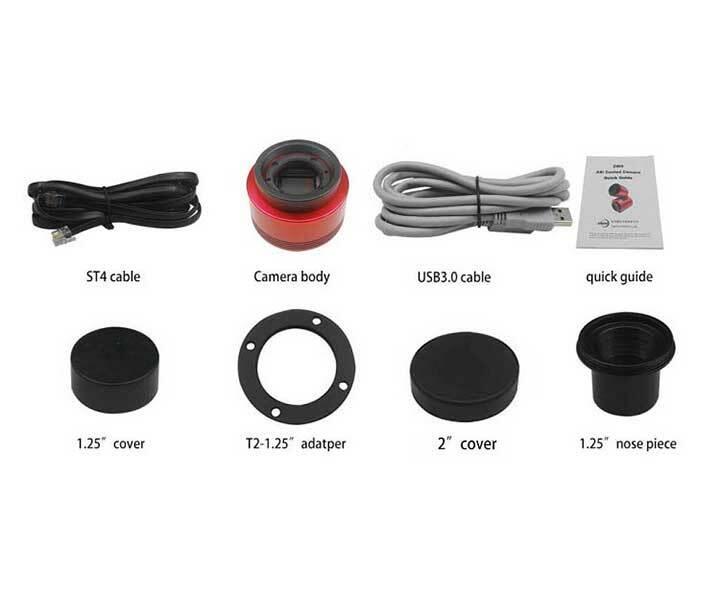 At the same time, the camera weighs only 120 grams and hardly burdens the focuser. 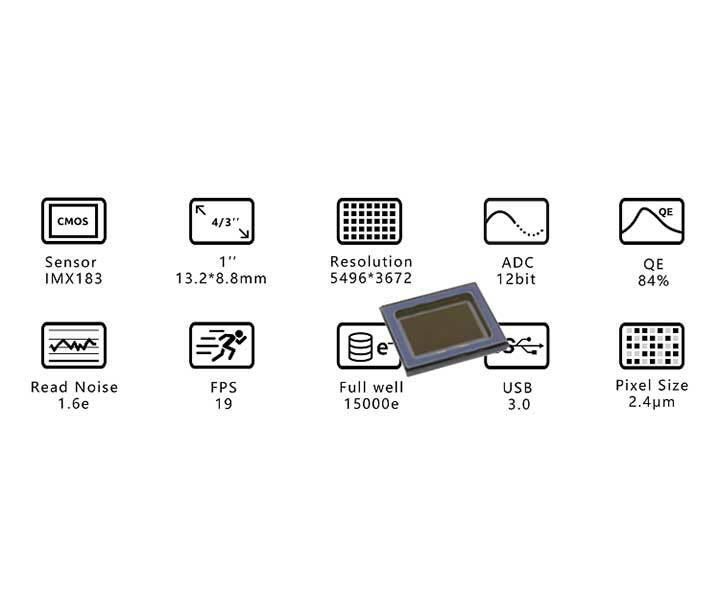 ♦ Deep-sky images of highest quality with short exposure times, this allows the modern sensor from Sony. After only a few seconds, you can already see stars and deep-sky objects that cannot be seen through the telescope with your eyes. 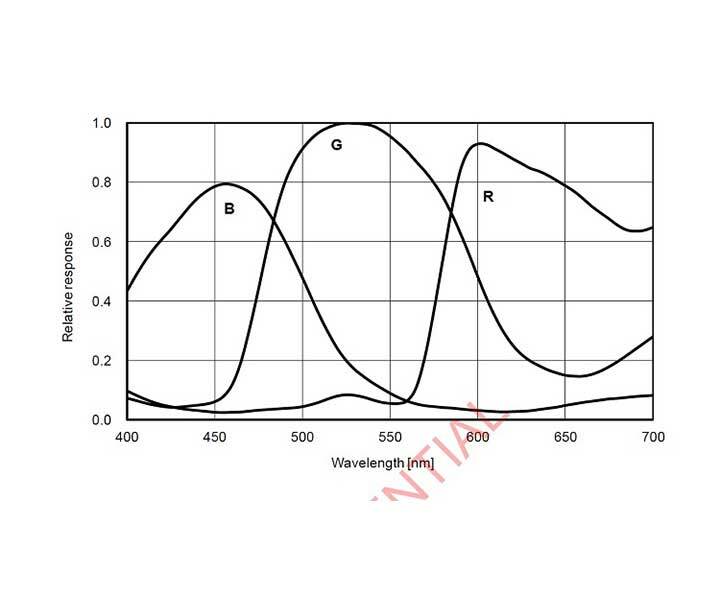 The light sensitivity is much higher than with conventional DSLR, but also CCD cameras. Guiding can be dispensed. Even "lucky imaging" is possible. ZW Optical supplies software and drivers online for free download.